Taking care of your smile is more than just brushing and flossing—it’s also being choosy about the foods you eat. Everyone knows that sugar is bad for your teeth, but there are plenty of other foods that can damage your teeth as well. These include hard foods that can crack or chip your teeth—a cracked tooth needs to be seen by your dentist, as it could eventually lead to tooth decay or tooth loss! What are some of the top foods that can crack a tooth? 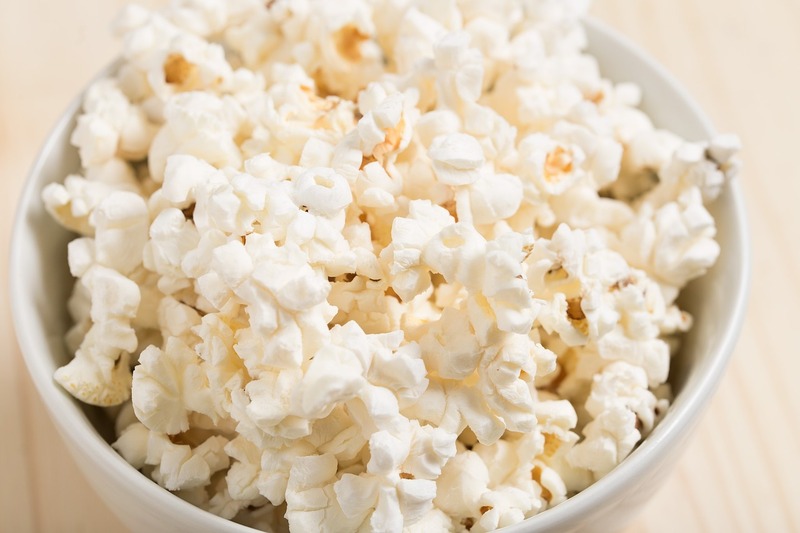 Popped popcorn isn’t necessarily bad for your teeth, but the danger lies in those kernels of popcorn that are often hiding at the bottom of the bowl. When you’re eating popcorn, your mouth expects to crunch down on something soft and light. This is normally the case, until you accidentally chomp down on a hard kernel with the force of your jaw. Popcorn is one of the top culprits for cracking teeth! The solution? Be more mindful when eating your popcorn—be aware of where the kernels are and make sure they don’t make it into your mouth! Bread is a popular staple at nearly any meal. Soft breads are generally fine for teeth, but hard breads can pose a hazard to your pearly whites. Think of bread products such as baguettes, biscotti, and hard pretzels. These breads can crack or chip your teeth, therefore leading to an unexpected trip to your dentist. If you enjoy hard breads, be careful when eating them—a small bite is always better than a hard crunch with your precious teeth! Candies that stick to your teeth are bad, but hard candies can be even worse, especially when it comes to treats such as jawbreakers, peanut brittle, Jolly Ranchers, frozen candy bars, and lollipops to name a few. While many of these candies are meant for sucking, people often bite down on them and find themselves with a cracked tooth. This damage factor combined with the sugar content makes candy an enemy to your teeth. If you choose to eat hard candies, remember to try not to chew or bite them! Nuts are an excellent snack choice—they don’t need to be refrigerated and can be easily stored at the office or at home. However, nuts also are hard and can pose a hazard to your teeth! This is especially true for nuts that are still in a shell, such as pistachios, but it can also be bad news for your teeth if you crunch down on hard nuts to find that you’ve cracked a tooth. Never attempt to open the shell of a nut with your teeth! Cracking your tooth opens up a space for bacteria to enter the cavity where your tooth’s nerve resides. If left untreated, your tooth could be subjected to infection and decay, and eventually it’ll need a root canal. Avoid these top foods that can crack your teeth and if you choose to eat them, do so with care! Dr. Sowmya Kanumilli is an experienced family and cosmetic dentist in Aldie, Virginia. For more information on Dr. Kanumilli, visit www.aldiedentist.com. At What Age Is Wisdom Tooth Removal Most Common?